Beautifull image of this specie. lovely colors and details. accurate light. Hi Aviad and welcome to TE! This is a great capture of this viper snake. How close could you get to it to take this picture? 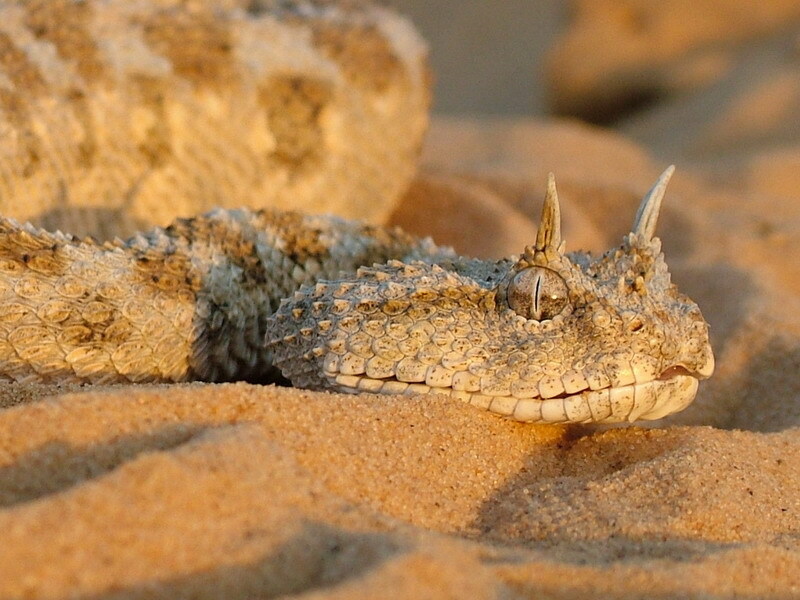 Very nice capture and hope to see more "reptiles of Israel" images from you! I add it as a favorite. Fabulous shot of this amazing viper, i have never seen one before, the composition is just superb with a great POV, fine details and I love the warm colours and lighting. One question please, did he get a Gerbil? Superb sharp capture of this devilish bit of camouflage. The morning light is excellent. Hope to see more shots from you. Shalom Aviad... una gran captura con excelente agudeza, foco, profundidad y iluminaci�n, produciendo un efecto muy agradable. Me gusta mucho el punto de vista captado bien bajo, con apropiada elecci�n del encuadre. Una presentaci�n de calidad, sin dudas. Shalom Aviad... a great capture with excellent sharpness, focus, depth and lighting, producing a very pleasant effect. I like a lot the very low point of view captured, with appropriate election of the framing. A presentation of quality, without doubts. A true beauty - both the animal and the shot! The low POV is really great here, the sharpness of the details impressive and the light awsome. Also the DOF is very good and the composition wonderful. Nice light , i really like the horns.Probably you could crop off the OOF sand from the bottom, it would make it even more upclose & personal. Very interesting snake.I have never seen this type before.Excellent shot. Nice capture! good sharpness and position.